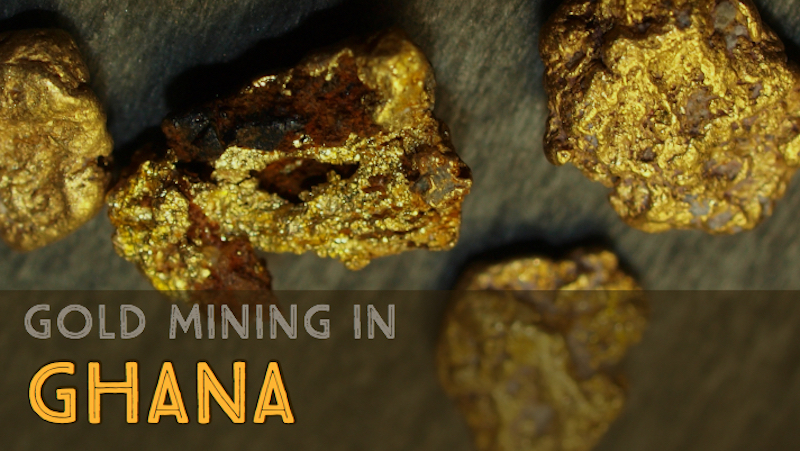 Gold is Ghana’s major mineral exports contributing about 35% of the country’s total exports. Ghana has become Africa’s second largest gold producer behind South Africa, which is exceptional considering the relative small size of the country. The country’s mining sector is centered around its gold production. The production of gold in Ghana dates back to precolonial time during the early tans-Saharan trade although not much was done until the 1970s and 80s when the country begun opening up its mineral resources for exploration. ther big names involved in the ongoing exploration of gold include Adamus Resources Ltd., Xtra Gold Resources, African Gold plc, Perseus Mining Limited, Moydow Mines International Inc., and Pelangio Mines Inc. This is the largest gold mine in Ghana. The mine is owned and run by Goldfields. It has a mineral resource of about 15.3 million ounces of gold and a mineral reserve of approximately 9.9 million ounces of gold. This open pit mine is located in western Ghana approximately 20 km to the south of the Bibiani gold mine. The mine was opened in 2005 by Red Back Mining and is run by Chirano Gold Mines Limited (CGML), which is a subsidiary of the company. The mine currently produces an average of 3,800 kgs of gold each year. This mine is located in the southern part of Ghana on the Ashanti Gold Belt. It is owned and operated by Endeavor mining company which begun commercial mine in 2011. The mine has mineral resources estimated to be about 36.7 million tons of 1.3g/t grade and an inferred resource of about 7.6 million tons of 1.3 g/t gold. This mine is owned by AngloGold Ashanti and is located about 10km south of the larger Tarkwa mines in Western Ghana. The mine is made of two mining operations, the Teberebie and the iduapriem operations. This mine is located in Obuasi within the Ashanti region. 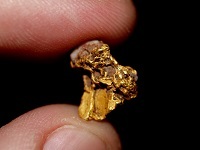 It is among the 10 largest gold mines in Africa. The mine is owned by AngloGold Ashanti. The mine has been in operation since 1897 and is deemed as one of the oldest mines in Ghana. This open pit mine is located about 35km northeast of Tarkwa and approximately 150 km north of Accra in the Birimian Province. The mine has been in operation since early 1990s and is estimated to have about 2.0 million troy ounces of gold reserves. Being a top gold producer in Africa, Ghana has quite a number of gold mines both operational and under construction. Some other important mines include Bogoso, Prestea Underground gold mine, Ahafo and Akyem gold properties and the Damang Mine among others. In addition to these mines several companies have exploration licenses for many other areas with great potential for gold mining. 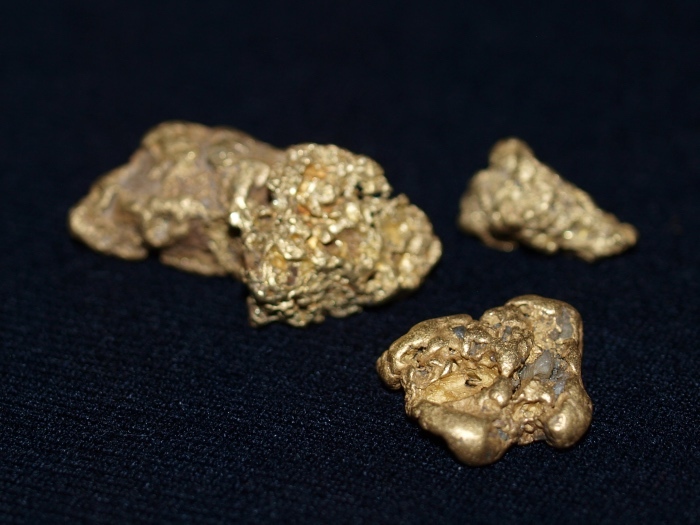 Some of the companies exploring for gold in Ghana include the Golden Star Resources which has permits to construct an open-pit mine at Prestea and Asante Gold which in involved in exploration project on the Fahiakoba gold concession. Small-scale mining operations are abundant throughout the country of Ghana. These mining operations generally use primitive methods to extract low-grade gold deposits from the ground. In many villages, gold extraction plays a major role in the local economies of this relatively poor country. Concerns with illegal mining operations and pollution have garnered much attention in recent years. Of particular concern is the use of young laborers as well as dangerous use of mercury, a known neurotoxin, to capture fine gold. Please be aware of the prevalence of African gold scam on the internet. These can come from any country, but seem to be especially prevalent in Ghana. These are offers to sell huge amounts of gold at cut-rate prices. They will often include real pictures of mining operations in Africa and pictures of large gold bars. These unsolicited offers are scams known as advanced-fee fraud. At some point, you will be asked to make an upfront payment by bank wire or Western Union. If someone emails you with an offer to buy gold from Ghana, do not respond. It is a scam.